Click on the link above to listen to this 1 hour podcast with host, Phantom Troublemaker. 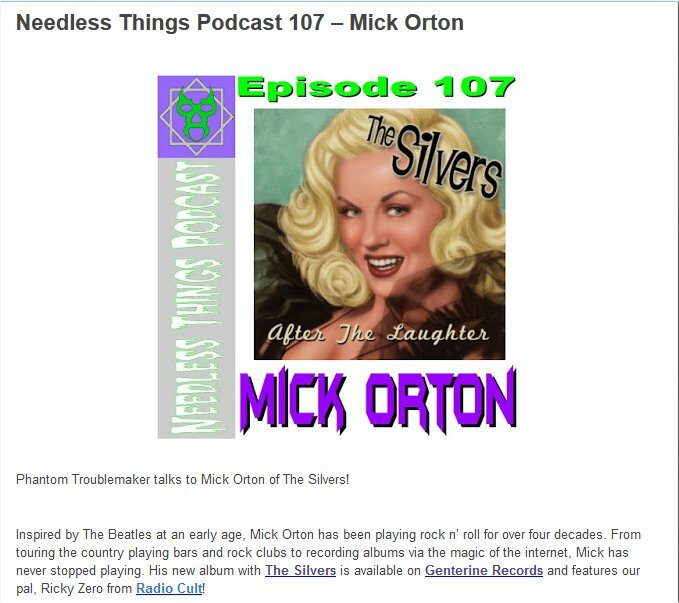 It features an interview with Mick Orton of The Silvers who talks about the past, the present and the future of the band. My apologies to Rick Walker for messing up his name. I called him Rick Baker. Sorry, Rick. ‹ Songs By The Silvers – Here in One Place!